Imagine the scene. You are sitting watching the winners of the World Cup about to lift the trophy and suddenly your track starts booming out of every speaker in the stadium and simultaneously across billions of TV sets around the world. Calvin Harris might have reached the height of success as the world’s top dance artist but he’ll be telling his grandchildren about the moment his track ‘Summer’ became the soundtrack to the German team lifting the World Cup. As a recording artist and Dream Coach working with the music superstars of tomorrow, these are exactly the kinds of dreams I encourage writing down as goals. 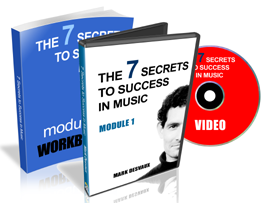 Yes, everyone would love a No.1 chart hit, a handful of Grammies and sell a million albums, but when you dig deeper you can find some very specific and experiential moments which when visualised will really help ignite your dream in music. As musicians and artists, our songs are like our children. We spend time making them the best they can be and one day they leave home to start their world travels, making friends with unlikely contacts and sending home postcards of their latest adventures. Ten years after releasing music for the first time as Urban Myth Club, I still get a buzz when friends send me texts like “Sitting in Starbucks in Sydney and they are playing your track!” Recently just as the World Cup was starting, a friend in Brazil emailed me whilst watching a dramatic scene on the nation’s most popular show with our song “Coming Home” as the soundtrack. One exercise I love to do when coaching clients is my five-step “Music Immersion Visualization” (MIV) process. Firstly I ask them to deeply visualize where they would like to hear their track being played, and then find an image which represents that vision. Thirdly I ask them to put this image on their studio wall and start writing a track for that audience, fully immersing themselves in what it would feel like to hear the track being played there. Does the music suit the venue? What are the audience doing? Dancing, chilling-out, crowd-surfing? As the final step I ask them to declare their dream by posting their image on my Music Life Coach Facebook page (facebook.com/musiclifecoach). Studies have shown that by declaring your dream to others increases your probability of success by 65%. One of my dreams was to play Glastonbury – the world’s largest festival. The turning point in my career was when I sat down and visualised the crowd as I imagined looking out from the stage and then wrote a track for them. In the past I would sit in my studio hoping that creativity would come, but the moment I started visualise the audience and imagined the experience, everything changed. I stepped up my writing and the Glastonbury dream became a reality a year later as my second ever gig. So what are your music dreams? Which event, venue or festival would you love to hear your music played at? Your brain does not know the difference between a real or imagined experience and one day, like Calvin Harris, you too could turn that indescribable euphoric experience into a reality. 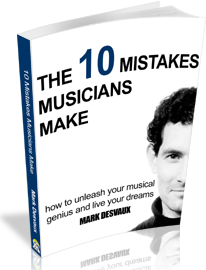 Mark Desvaux (musiclifecoach.com) is one of the world’s leading Music Life Coaches. As a recording artist he has had chart success with Urban Myth Club (@urbanmythclub), played Glastonbury three times and has signed a publishing deal with Warner Chappell. Through his 1-2-1 and group coaching (Ignite Teams) he helps people define and live out their music dreams (@musiclifecoach). STEP 1: Deeply visualise where you would like to hear your track being played. STEP 2: Find an image which represent your vision. STEP 3: Put the image on your studio wall where you will see if when writing. STEP 4: Write a track for that audience. 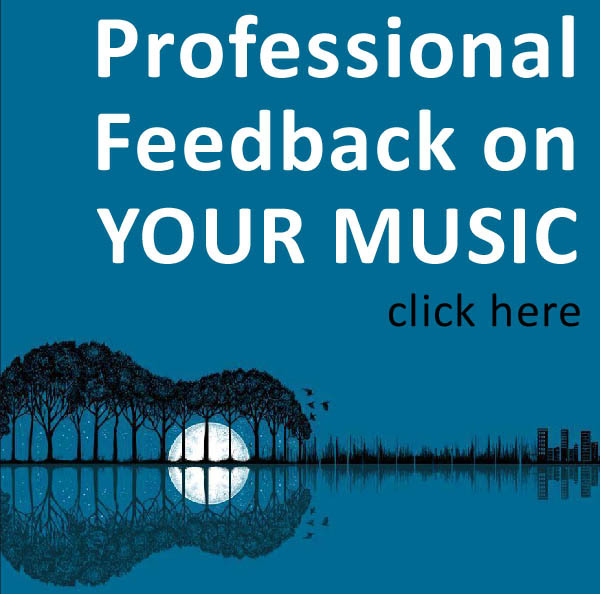 STEP 5: Post your image on facebook.com/musiclifecoach to declare your music dream.